TheRustedChain - The Blog: Flavors of Fall, part 2. Flavors of Fall, part 2. Lately we're baking more and more often. It's just the right thing to do when the weather gets cool. 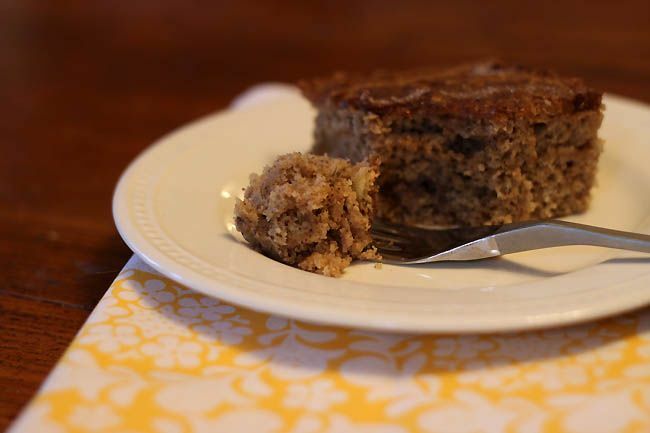 Banana Cake with cinnamon and cloves in it. Sprinkled with cinnamon and sugar before it's baked to make a crunchy topping. Have you been baking lately? What are you making? That looks delicious! I haven't been baking (never been a baker - but don't need to be because my sister and husband are amazing bakers) but ever since it got cold, I've been making fall/winter soups, including chili and pumpkin soup! That looks delicious!! We actually made pumpkin cheesecake yesterday, so good!! No--I'm not much of a baker but I do like to cook.